Infertility is a problem experienced by one out of every ten couples. Stress can be both the cause and result of infertility. We, as physicians, must take into account stress factor when treating our patients. Minimizing stress both makes treatment easier and increases the success rate. Stress in couples with infertility is caused by multiple causes. First of all, the one with infertility from couples asks himself/herself the question ''why me'', but a lottery was drawn and she/he drew the shortest straw. Another tougher psychological burden is domestic pressures and endless questions, in particular parents in-laws intervene with the situation and this creates a major source of stress for couples. Expectations during the treatment are a different source of stress. Questions, such as how many eggs I will have?, will they be fertilized? and the most important one "will pregnancy occur in this month? ", push couple's patience especially during 12 days from the transfer until the transfer pregnancy test. Well, what responsibilities fall upon the IVF centers about this issue? First of all, we should be able to speak the same language with patients, fully understand them about infertility issue, which is difficult to talk about, and make them absolutely sure that they understand what we mean. This will be possible only sparing enough time to the patients. Simplification of treatment programs is another important aspect. Shortening of the duration of treatment, reducing the time patients lost in the center - especially waiting time - easy to use drugs and without side effects, performing the operations under general anesthesia completely painless greatly reduce patient stress. Taking into account that the most important stress factor is failure of the treatment, it is a fact that reducing stress is very important for a higher success rate. Thanks to the recent developments in science and technology, patients can return home with their babies, and knowing that minimizes the stress of failure at the beginning of the treatment. We work with the latest technology in EUROFERTİL Reproductive Health Center to keep our success rate above the world average. For whatever the reason, reducing stress increases pregnancy success. In this case, the most important action that could be taken is to turn the environments where such couples receive IVF treatment to remove their stress factors and make this treatment 'delightful' to the extent possible. This issue has been world-wide considered and centers that only serves as infertile couples have been opened as an ideal solution. Presence of other patients - especially pregnant women - negatively effects couples in the waiting room. In addition, health personnel serving such couples must be specially trained and experienced in this regard. The most important feature of such type of private centers is that they are not like hospitals and have color comfortable ambients, never smells like hospitals and gives you the feeling as if you are visiting a friend's office. 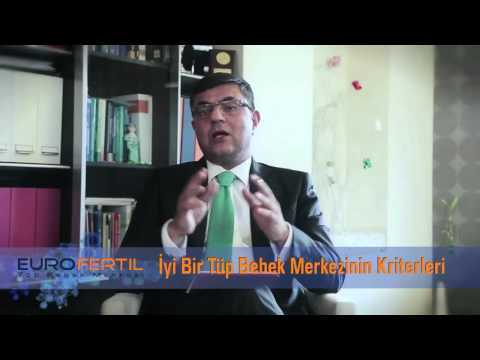 EUROFERTİL Reproductive Health Center is the first and only the one, for now, IVF center in Turkey established in this manner and only serves infertile couples.